Anyone been fishing the last two weeks? Last time I went, the Redfishing had really slowed down. Havnt been in about 10 days and was curious if it's still slim pickins? I'm hoping this little bit cooler weather will help some cause it sure turned off in a hurry! If anyone has fished Yankeetown, Wacassasa or Cedar Key let me know what y'all think! Last edited by GCRedfisher on Tue Jan 12, 2016 7:11 pm, edited 1 time in total. I haven't been either. Family health issues have kept me home. Was planning to go yesterday and today but that didn't work out. When I walked out this morning a NE wind hit me in the face. That coupled with the expected cold front should make it a lot better. I've had some reports that it's picking up. Let us know if you went and how it was. Oystered all week and saw no fish and no one fishing. Fwc hittin it hard this week. Land, sea, and air. If you come to Cedar Key make sure you are legal and mind your P's and Q's. By the way the oysters are really fat and tasty. Slide safe and God Bless. Work ended up keeping me out of the water again! Hope to go one day this week! Boss Man, his son and granddaughter went out of Yankeetown Saturday and had their limit by 10 am. Maybe it is picking up a little . Let's pray the weather holds out with cooler temps! Wind blew all day out of the West.....fished in the creeks. Did see some keeper reds caught by other people though?????? Were they in the creeks or on the points? Boss man and crew started out in the creeks, caught 4 then headed out and actually saw them swimming in the mouth and caught the majority at the mouth coming in as the tide rose. Weird? It's like the were outside on low tide and headed up the creeks on rising water. He said they all had fiddlers in their stomachs. We use airboats. Typically winter fishing is up the creeks on low tides but this winter has been anything but typical! It's anybody's guess where they are, some inside and some outside? We have been catching them in the creeks right in front of the incoming water. Kind of all or nothing, either the hole is loaded or nothing. Been fishing waccassasa south. North has been tough but have found some top of slot fish. Yes GC the Fall and winter fishing has been very different this year. Mud Minnows are the ticket as wells. Pinfish and pinfish tails are also good. 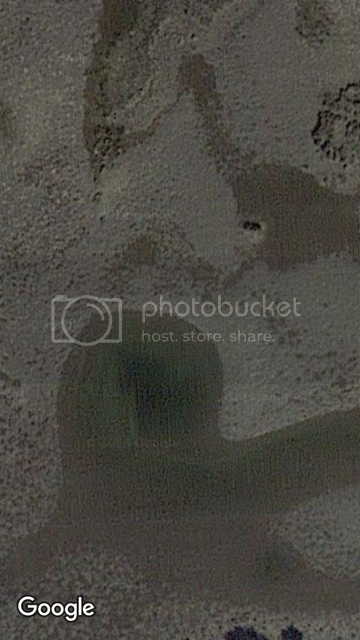 I fish Yankeetown north so me and One Eyed Gator are in the same general area. Hoping this colder weather helps put them deep in the creeks. Yes there are some rock, a lot of it is a sharp limestone. We have been exploring some creeks we have need fished before. It has certainly taken it's toll on my poly and hull. But caught some nice upper slot fish. 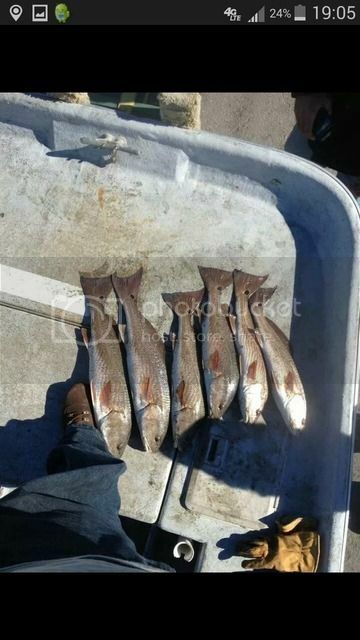 we fish from just south of cedar key down to lowes bay just north of yankeetown out of the waccassasa river. Beat and bang to get there but the results are worth it. Where did you say that was, lol? More info please. Coordinates? Pin on google zoomed out some? barhopper wrote: More info please. Coordinates? Pin on google zoomed out some? Oh that spot. It's right next to that other spot. Gonna try to fish tomorrow afternoon if the wind lays down some. I have been wanting to fish but have had to many family obligations & now my pop is in the hospital. Ya'll catch a few for me, I should be back to it in a few weeks.